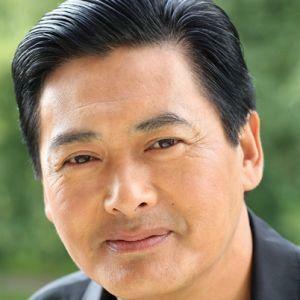 Chow Yun-Fat is an actor born on 8th May 1955, in Lamma Island, (then British) Hong Kong. Throughout Asia, he is mostly known for his co-operation with director John Woo and his heroic bloodshed films such as “A Better Tomorrow”, “Hard Boiled” and “The Killer”, and in the west he is recognized for his roles in “Crouching Tiger, Hidden Dragon” and “Pirates of the Caribbean: At World’s End”. Among other achievements, he has won two Taiwanese Golden Horse Awards for Best Actor, and three Hong Kong Film Awards for Best Actor too. Have you ever wondered how rich Chow Yun-Fat is? According to sources it has been estimated that Yun-Fat’s overall net worth is obver $100 million, accumulated thanks to a lucrative acting career, which he started back in the mid-‘70s. He has appeared in numerous films and TV series, and since he is still active in the entertainment industry, his net worth continues to grow. Chow was born into a poor family, and lived with his parents in a farming community in a house with no electricity, helpingd his mother with farming and selling on the streets. When he was seventeen, he had to leave school so he could support his family by doing various jobs, including working as a bellboy, postman and taxi driver. However, some years later, Yun-Fat replied to a newspaper advertisement and started his actor-trainee work at the local television station, then signing a three-year contract with the studio, and soon making his acting debut, appearing in soap operas which were exported world wide. One of his first appearances was in the 1980 TV series “The Bund” which dealt with the rise and fall of a 1930s Shanghai gangster, and it didn’t take long before he was recognized as a household name in Hong Kong. Despite continuing his acting success on television, Chow wanted to become a big-screen actor. Finally, his dream came true when he teamed up with filmmaker John Woo and appeared in the action-melodrama film “A Better Tomorrow”(1986); the film turned out to be a great success and established both Chow and Woo as superstars, as it brought him his first Best Actor award. His net worth was certainly well established. After this, many more heroic films followed, next in “A Better Tomorrow 2”(1987), then successively “Prisons on Fire”, the sequel “Prisons on Fire 2”, “The Killer”(1989), “Hard Boiled”(1992) and many others. Yun-Fat also starred in comedies such as “Diary of a Big Man”(1988) and “Now You See Love, Now You Don’t”(1992), but also in romantic blockbusters like “Love in a Fallen City”(1984) and “An Autumn’s Tale”(1987), which earned him a Best Actor Award at the Golden Horse Awards. His net worth was rising steadily. In the mid-‘90s, Chow decided to move to Hollywood in pursuit of international fame. Although his first two films weren’t successful, Chow eventually got the role of Li Mu-Bai in the “Crouching Tiger, Hidden Dragon”(2000) which became a winner at both the Oscars and the international box office. This established Chow’s career in the West and brought him other roles, including in “Bulletproof Monk”(2003), “Curse of the Golden Flower”(2006), “Pirates of the Caribbean: At World’s End”(2007) among many others. Some of his most recent ventures include acting in “From Vegas to Macau” in 2014, and reprising his role in its sequel a year later. Chow is considered to be the second-highest earning actor in Hong Kong. When it comes to his private life, Yun-Fat has married twice, firstly to Candice Yu, an Asian actress, but the two split after nine months. In 1986 he remarried, this time to Jasmine Tan; the couple doesn’t have any children, although Chow has a goddaughter, Celine Ng, a former child model for various companies.